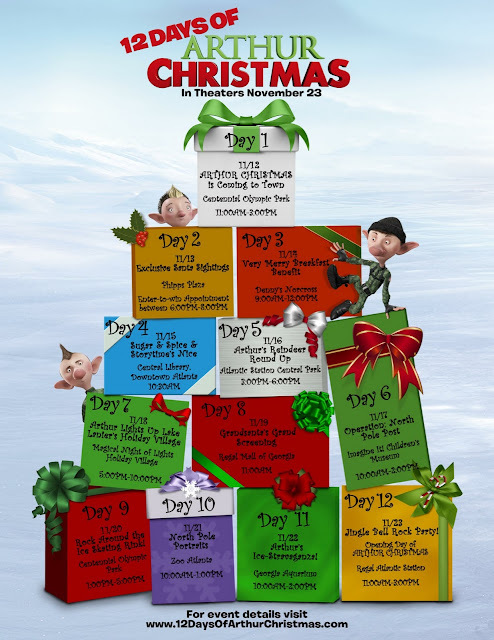 life as I know: Win a Family Four Pack of Tickets to "Arthur Christmas"
Hi Shanta, Our family tradition is to decorate our house inside and out with lights and then spend time with family and share old family stories. I love Christmas because of the traditions. The thing I love most is going to church Christmas Eve like I did as a kid and then coming home to a big Italian meal. My father is Italian and I it is a tradition I love thatim passing on t my brood. My favorite holiday tradition is.....opening one gift on Christmas Eve!